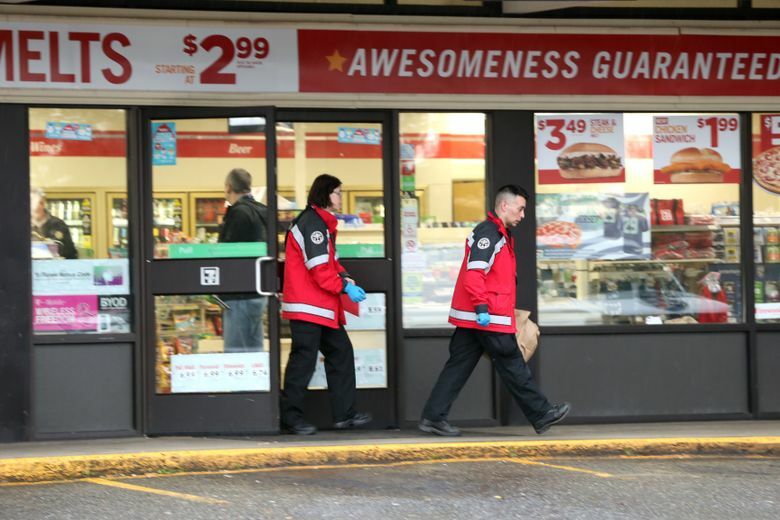 A customer shot and killed a hatchet-wielding man attacking a clerk at a convenience store in Burien Sunday morning. 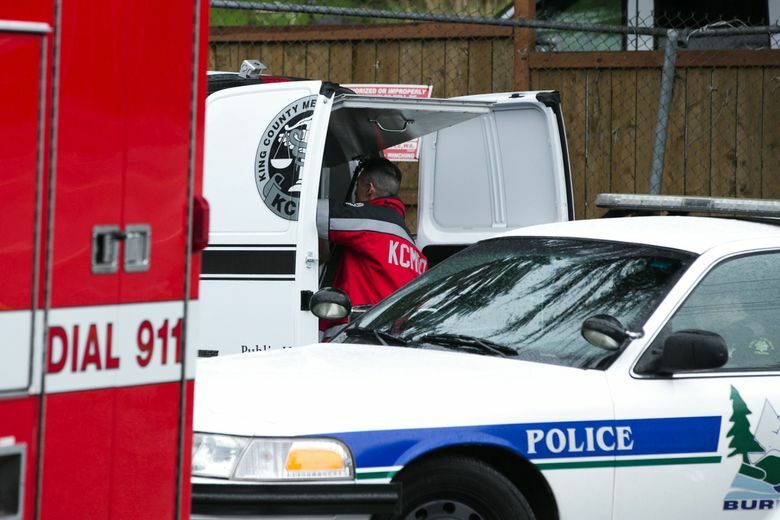 Update at 3:34 p.m. Monday: The King County Medical Examiner’s Office has identified the man who was fatally shot as Steven Blacktongue, 43. 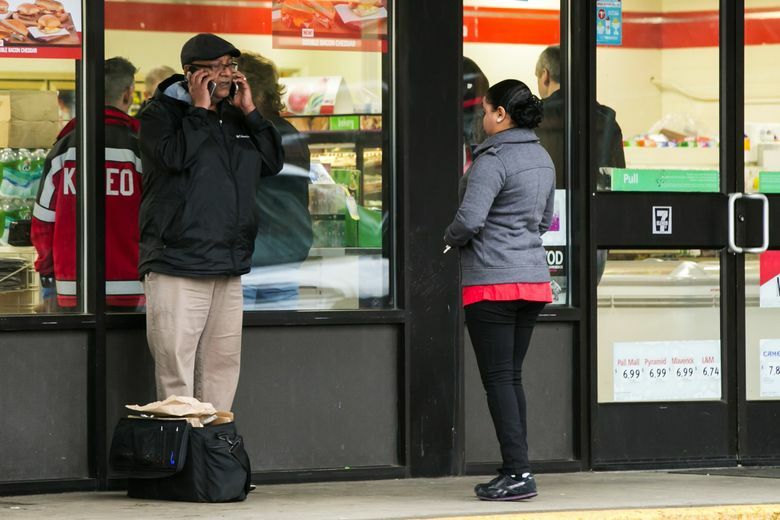 Original story: A customer shot and killed a hatchet-wielding man attacking a clerk at a convenience store in Burien on Sunday morning. 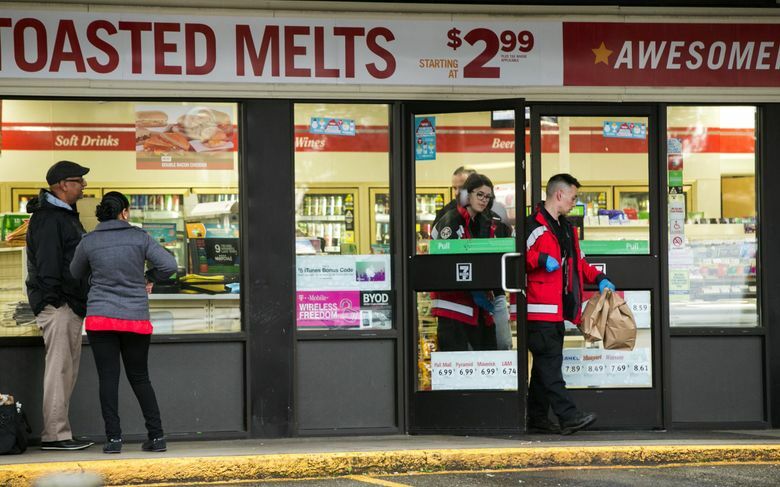 About 5:45 a.m., a masked man about 40 years old walked into a 7-Eleven store near South 110th Street and Eighth Avenue South and swung a hatchet at a customer, said King County Sheriff’s Sgt. Cindi West. The man then went behind the counter and attacked the 58-year-old clerk, never saying anything. Within seconds, a customer pulled out a handgun and shot and killed the attacker, likely saving the clerk’s life, West said. He was pronounced dead at the scene. The 60-year-old customer buys coffee from the store almost every morning, West said, and he sits and chats with the clerks. He has a permit to carry a concealed handgun, West said. The clerk who was attacked told a KIRO 7 reporter that he would have been killed had it not been for the customer. The regular customer is a “very nice” guy, the clerk said. The clerk has a minor injury on his stomach, West said. The identities of the three people involved were not released.